And It’s Completely Green, Too! I swear, there’s some sort of space/time warping effect that happens as you approach the end of a project. 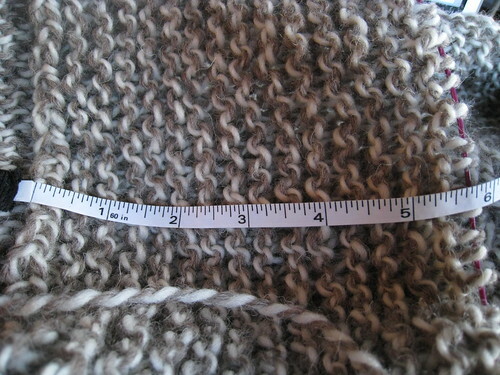 Last night, I sat down with my tea and a silly movie to knit the last couple of inches of this damn sweater, and when the movie was finished, I swear I had the same amount of garter stitch as I had when I started! If only there were some way to harness this, we’d completely solve the world’s energy needs! Knitters: your alternate energy source since 2011.